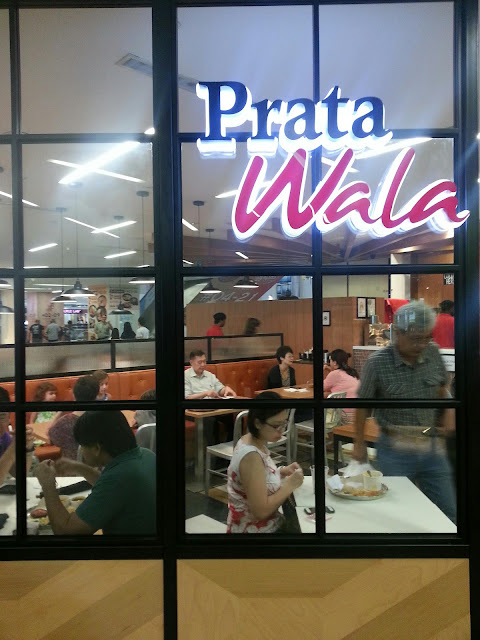 I met a friend at Bishan Junction 8, Prata Wala has a new branch at Junction 8 basement, it replaces the original Ajiesen Ramen(moved to another side) after renovation. Both of us like prata so we decided to go in. It was quite full house during the dinner time, but luckily we met some friends and secured the seat. 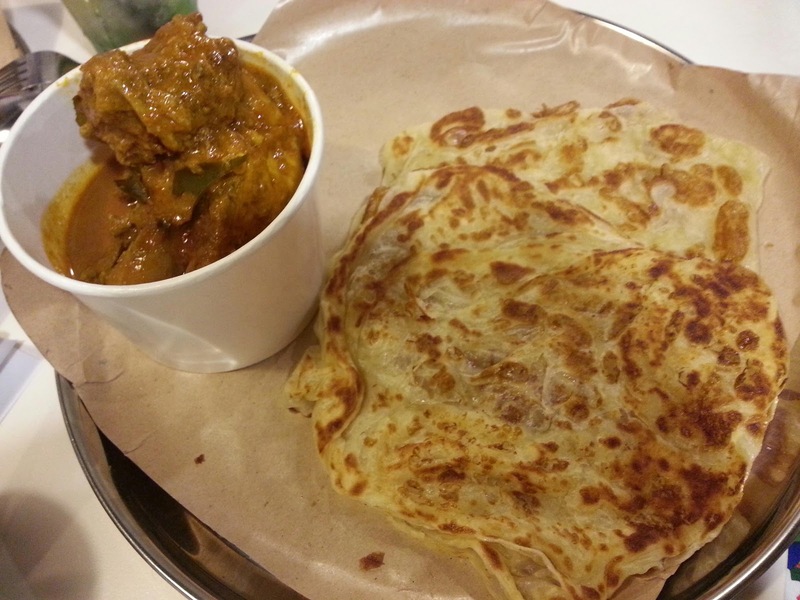 Curry Chicken Prata Set($7.50) - taste average. Murtabak Chicken($8.50) - 1st time I had murtabak in Singapore. It is different from the one I tried in Malaysia, this version is thinner but taste quite good. The skin is crispy and good to go with the curry chicken. Overall, I quite like it but a bit pricey if compare with others. 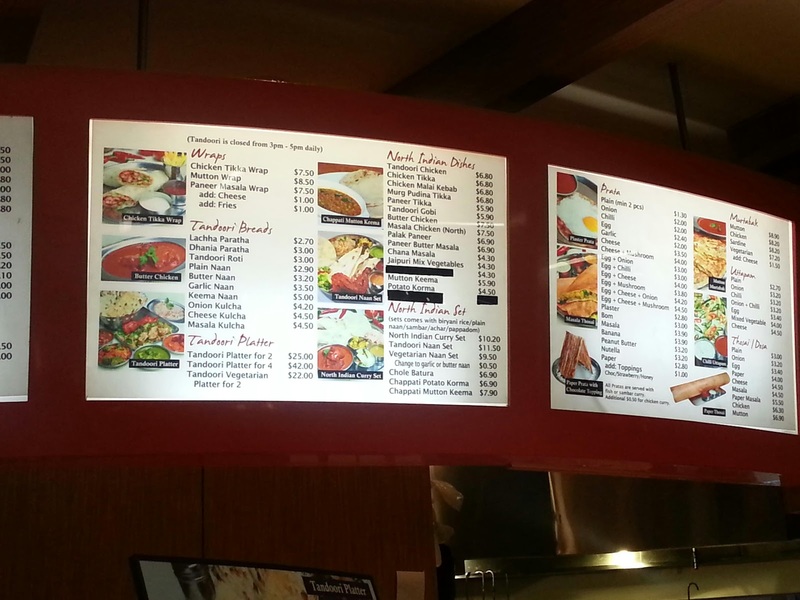 I was here for the prata but a bit greedy wanted to have prata and tandoori. 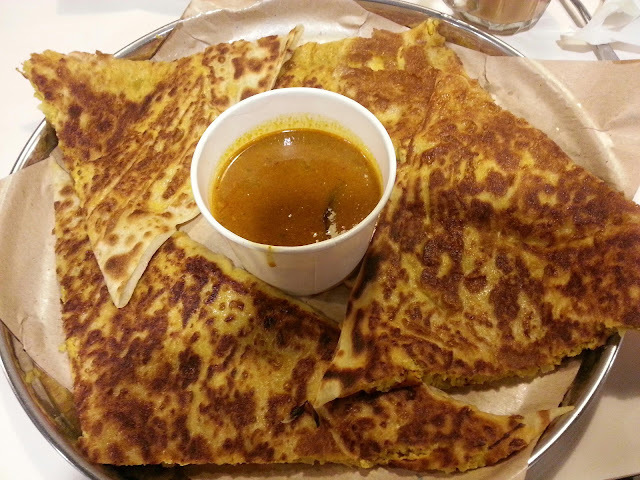 My vegetarian colleague thought of getting prata with some vegetables dishes. 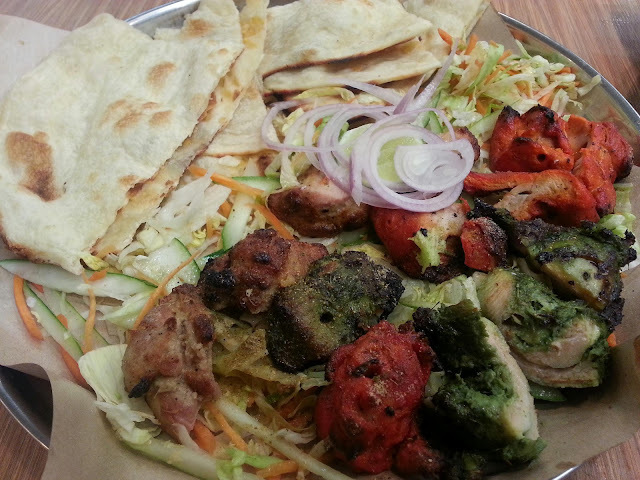 We then saw this tandoori platter for 2 and we were attracted by the choices. 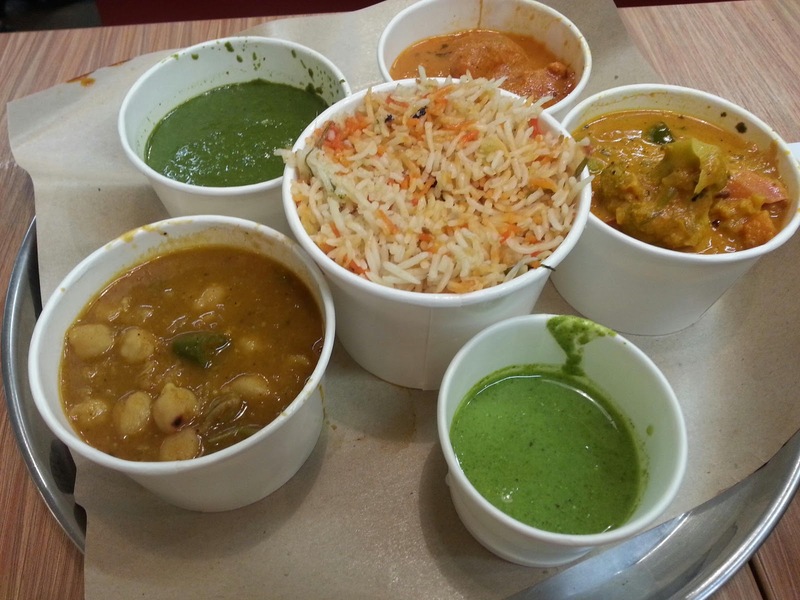 It comes with 3 kinds of tandoori meat, butter chicken, spinach paneer, curry beans and vegetables, naan and chicken briyani. Looks good and it is $25 for that. We got that and I was surprised for the big portion of this. I am sure this is enough for 3 person. It comes with 10 naan and plenty of rice. My colleague is vegetarian so all the meaty stuff she couldn't take it. I immediately knew that I won't be able to finish it so I asked for take away bento box. With so many naan we were sure rice will be too filling so I almost packed back all the rice and added half of my tandoori chicken and butter chicken to the bento. That is more than enough for my dinner. We ate the rest and felt so full after that. The food generally tasted quite good. I used to go to their branch at Tiong Bahru for prata choice. 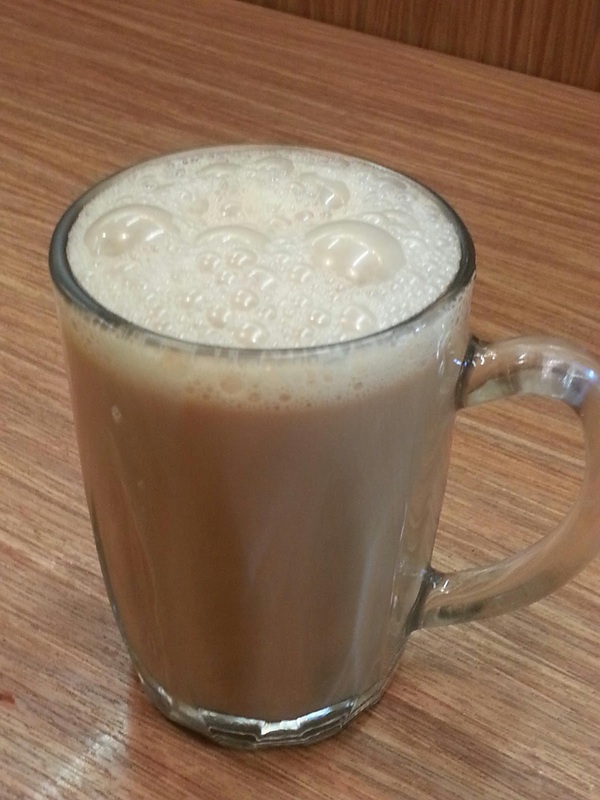 Teh Tarik is nice too. A good place if you like to have Indian food.